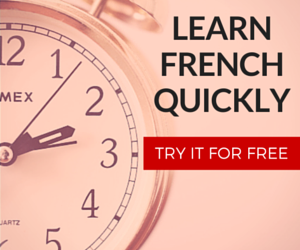 Do you want to get the most out of your language course? Do you want to get an A in French class? After taking my fair share of French courses, I know a thing or two. Here are some universal tips to help you become successful. Studying and going to class are the basis of getting an A in French class, but if you truly want to be successful and learn the language then this not enough. Take for example my 5th-year high school French class of 25 students. Did all of us want A’s? Yes. But how many of us still use French to this day? Probably 3-4 of us, in fact, some of the people in my class barely remember anything 5 years later. Don’t let that be you. If you’re going to spend valuable time learning something then don’t let it go to waste. Keep in mind, there’s more to French than a grade. A whole culture and history stands behind the language, so until you can appreciate that or want to experience it with others then your language class is fruitless. Tell yourself that there are people out there in the world who wish somebody could teach them another language and you’re taking it for granted. Trust me, I’ve encountered plenty of people who wanted me to teach them French, my mother being the first of them. It’s truly an opportunity. So don’t just physically go to class, that isn’t enough. Don’t just pray for an A either. Instead, go mentally prepared, meaning be ready to pay attention and follow the discussions, or else you might as well have stayed home. How to do it for the knowledge? Playing off the “don’t do it for the grade” ideology, how can you make your language course mean something to you? Well those who are motivated with internal goals (like the desire to learn new things) do better and learn more than those who are externally motivated (I want a good grade). If you’re not in a language course because you’re interested in learning it, then change your outlook. Tell yourself you want to go to France. A less extreme option would be to say you want to understand some French music, watch a French movie, or even just read a crêpe recipe in French. The possibilities are numerous. Get a few classmates or natives together, grab a coffee, and expand your language skills outside of the classroom. Give what you learn some meaning other than memorizing the purple vocabulary box on page 33. Languages are about communication, so find some people to communicate with! The best way to be successful in French and to get an A, outside of liking the subject matter, would be to show your teacher that you actually care about the material. Now let me diffuse a common association; no, this does not mean you have to be the teacher’s pet. You don’t have to sit in the first row and answer every question until your classmates dislike you. Yet, just showing interest in learning the language (show up to class & ask questions) motivates your teacher to help both you and the class more. Even the meanest teachers will soften up a bit if you tell them you plan on going somewhere to use what they taught you. If your professor is French then you’re showing that you care about their origins! If not, you are still saying that their profession (teaching) and their subject matter (French) are both useful to some aspect of your life. Teachers who like you tend to be more lenient on their grading when they figure you deserve a good grade. I taught English classes in France. Which of my students were treated better? Students who didn’t answer questions, refused to do the assignments, and not pay attention to lessons you toiled hours over to prepare? Or students who happily participated, asked questions when confused, and worked diligently when needed? Even though both groups of students were graded fairly, I would probably go into more in-depth explanations with the enthusiastic bunch. Or maybe some of their questions would start a great discussion which better prepared their class to ace the next exam? There are many factors at play. 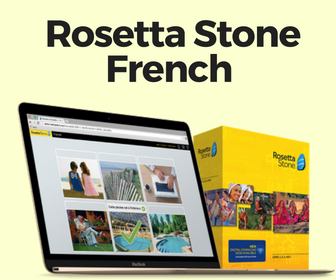 Contribute to a positive learning environment and you’ll be rewarded with more French, which makes acing that French class inherently easier. Maybe I was lucky that all my language teachers were very friendly, social, and passionate about what they did. But even if you don’t have one of those teachers, it is still worth a shot to show them you care. Sometimes teachers get lost in the profession and lose the spark which drove them to become a teacher in the first place. Maybe you can help rekindle that spark? Go up to your professor after class, introduce yourself, and tell them why you’re there, even if it’s as cheesy as “One day I hope to see Paris.” You’ll notice how they open up to you and treat you a bit differently because they want to see you succeed. Those are my classroom tactics on how to get an A in French class. We continue the discussion with why lazy language students never succeed. I love your site. Is there a way I can print articles for my students without pictures and ads? Hi Nancy! Yes, feel free to print out anything and everything. If you download adblocker for your web broswer then the ads disappear OR you can copy & paste the text it into Microsoft Word. Delete any extraneous text and pictures from your word processor and then hit “print”. I’d appreciate it if you left something indicating it came from Frenchcrazy but other than that you can do as you wish. hello. I am a freshmen (high school) in Canada. I am currently attending french but I am getting a bad mark. I spend almost my whole day memorizing test (test is almost everyday). But most part of the test is listening. Even though I know how words are pronounced, I have no idea what I am listening when my teacher is speaking in french. She talks to fast and she doesn’t give us time to think. She also doesn’t give us second chance to hear the sentence again if not understood. I am also attending high school in Canada and taking French. To you, my advice would be to go to your teacher after class and tell him/her that you feel like the listening portion is fast and that if you and him/her can arrange days to practice french (Oral) together.